@Narrative art tells a story. I love challenging students to create interesting original narratives. They have to truly think through what their story is, and how to best share it with the viewer. A narrative is at its best when it considers the setting (environment), characters (people that it involves), and plot (what's happening). I ask students to periodically stop and share their work with their neighbor. If their neighbor is unable to convey what is going on in the story, then the artist knows they must reconsider/rethink what they are doing so that they can have their work tell the story more effectively. 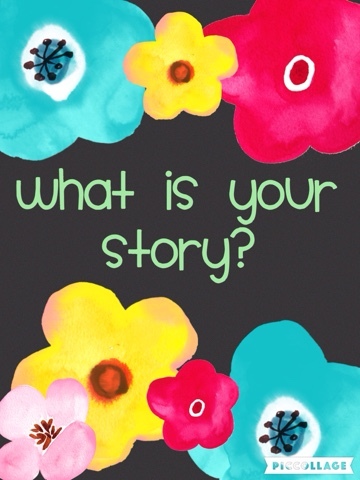 Have you ever been asked to share your "testimony"(your faith story)? For some, the idea of doing such a thing scares them. Others might think they could do it with ease, but quickly realize when doing so that they lack direction/focus, and are unable to effectively share their journey of faith. No matter where you find yourself on this spectrum, being able to share your story is an important "tool" that the Lord wants to use in your life & the life of others. Like the narrative art work I have my students create, you must think through your story and consider how best to share it with others. You don't want it to sound scripted/canned...but we must be ready in & out of season to give account for our hope! Writing it down, sharing it with a friend, and thinking upon what you are sharing will allow you to refine it & effectively convey your story I also feel it will allow you to reflect on God's love & faithfulness in your life. That is a WIN-WIN situation!! 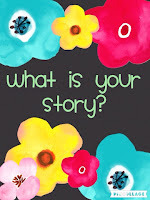 Easter Story has impacted your story! Dear Lord...you have blessed me with a story to share. Thank you for the testimony you have given me. I know it your story of grace, love, and hope. Something our world needs to hear. Allow me to effectively &fearlessly share the reason for my hope. Help me to glory you through the story of my life. And may I see that it is not finished, but still unfolding as I go & grow in you. 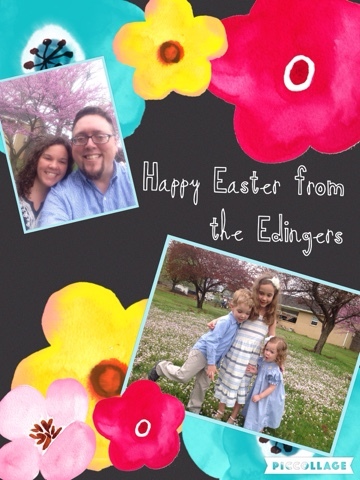 Happy Easter Edinger family. Christ is risen. Sunday Devotional With Mr. E: Washable?